Respiratory syncytial virus, or RSV, is a common respiratory virus that often displays mild, cold-like symptoms. For a healthy child or adult, recovery is often under two weeks and treatment is often self-care and a doctor as needed. But for infants and older adults, RSV can cause bronchiolitis and pneumonia, as their immune system may not be as strong. RSV is the most common cause of bronchiolitis and pneumonia in children under the age of one and respiratory syncytial virus is so common that many children have been affected by the virus by the age of two. 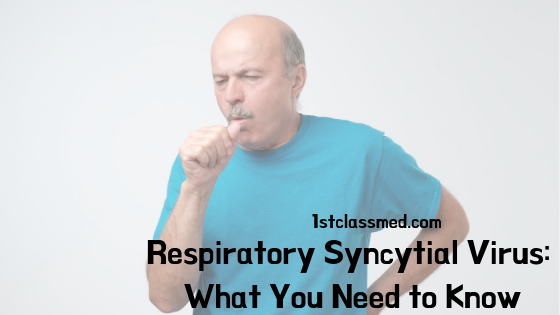 Respiratory syncytial virus can become very serious in those with a weak immune system, such as babies, older adults, and those with heart and/or lung diseases. All of these individuals are at a higher risk of developing respiratory syncytial virus than healthy adults. Respiratory syncytial virus gets into the body through the eyes, nose and/or mouth. RSV is easily spread by the air, often linked to infected respiratory droplets, so if anyone with RSV sneezes nearby it is possible that you can get sick. Direct contact can lead to infection as well, so if you are around anyone sick with RSV, try to avoid close and physical contact (or vice versa). The virus can also live for multiple house on objects, such as countertops, doorknobs, toys and hand rails. Commonly, the virus is contagious for the first three to eight days of infection, but it can spread for weeks after infection. For those with a weakened immune system, they can spread the virus for up to four weeks. Symptoms of respiratory syncytial virus often mimic symptoms of the common cold. Symptoms can appear in stages after getting infected, beginning around four to six days after exposure. Though many who develop RSV treat it at home similarly to the common cold, it can still take one to two weeks in order to fully recover. This timeline can be longer for those with are at a higher risk of developing RSV. If severe symptoms are noticed, seeking medical attention is very important, as prescription medication or hospitalization may be needed. Respiratory syncytial virus infections often go away on their own, but many use over the counter medications to help reduce symptoms such as fever and pain. The infection often takes one to two weeks before it will go away. While infected, it is very important to drink plenty of fluids in order to prevent dehydration. Treatment in healthy adults and children often mimics the treatment for the common cold (i.e. over the counter medications). For children, it is important to speak with their doctor about over the counter medications as some OTC medications are not suitable for children to take. 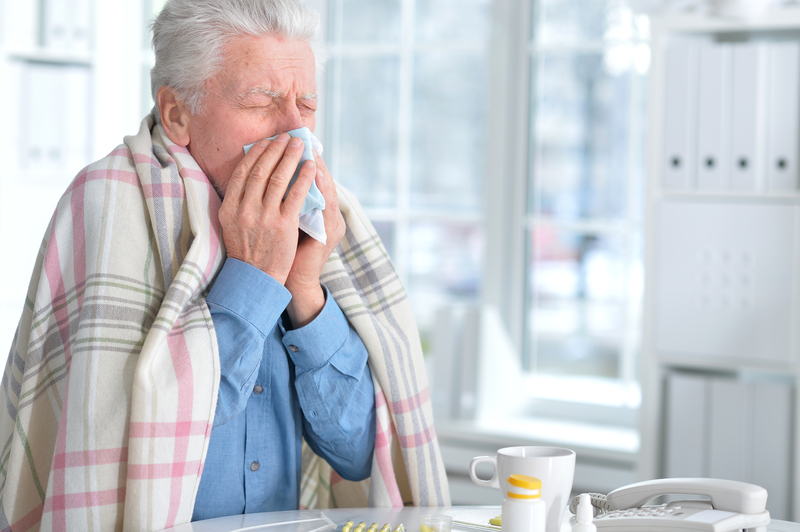 Many healthy adults do not require any medical attention, such as visiting a doctor’s office or hospitalization as their bodies are able to fight of the infection. For those at a higher risk of developing an infection, hospitalization may be required, and it can last a few days. It may begin with a trip to the doctor to determine the severity of the infection and decide if hospitalization is necessary. If the infection is deemed to be severe, it is possible they infected individual will need supplemental oxygen or even to be intubated. Currently the only treatment that is effective is providing comfort and some medical support to help the body fight the infection. There is no known treatment for an RSV infection, but researchers are trying to develop vaccines and antivirals in order to fight the virus. There are many steps that can be taken in order to prevent getting infected with respiratory syncytial virus. As RSV displays symptoms similarly to the common cold, you should try to cover your coughing and sneezing, wash your hands often and avoid contact with others (i.e. kissing, shaking hands, sharing a drink, etc). On top of avoiding spreading germs by physical contact, try to clean shared surfaces, such as cleaning doorknobs, light switches and remotes. Also make sure you are washing your hands regularly with soap and water to make sure the virus is not on your hands. It is important to avoid children or older adults when you are sick, with a cold or RSV. Respiratory syncytial virus, RSV, is an infection that presents itself like the common cold. RSV is often contracted by contact with someone who is sick with the infection. Symptoms of RSV can mimic the symptoms of a common cold, making it hard to determine the difference. Treatment of RSV is often not needed, but extreme cases may end up requiring hospitalization. Preventing RSV is important, so avoiding all contact with those infected with RSV as well as avoiding others when you are sick with RSV. If you notice any cold symptoms that last for more than a week, contact your doctor to see if you should make an appointment.